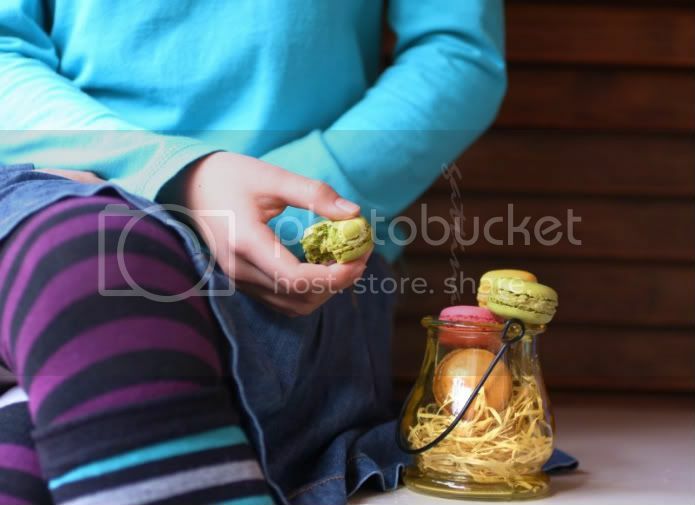 Macaron probably is the most favorite topic for food bloggers. May be it is so French... or so cute... or so challenging to make it perfect, it just gives us a lot to talk about. But oh no, I don't make these. I am still worrying how I make bread for 50 persons in one morning (you know I don't have a mixer or bread machine). I will update you on that later. This macaron comes with a flavor of: chocolate, coffee, strawberry, lemon and pistachio, made by Paul's, a popular French bakery in Barcelona. You have made some really colourful and pretty macarons there ! G, I love this shot! very different shot from you and I like it! when i saw the title of your post, i thought you made some macarons..how disappointed, ha! but i'm looking forward to hear your bread making story!! What a lovely presentation ! !